Some Malays are in danger of becoming snowflakes; afraid of their own shadows, afraid of photos of wagyu beef, dogs, pigs and crosses. Last week MAS apologised for a photo of a dish in its in-flight magazine called Going Places. MAS is an international airline. The magazine promotes some of the restaurants, or peculiar dishes which are feature of its destinations. The airlines customers are from various nationalities and faiths. 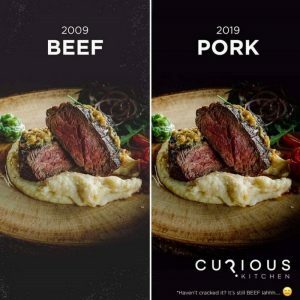 The airline should not have to apologise for the photo of the dish, be it beef, pork, chicken, sheep’s head, sheep’s eyeballs, duck embryos or snake. In the end, the dish which some NGOs found offensive, was not pork but beef. The NGOs bullied the airline into making an apology. MAS should not have caved in to the bullies. In recent years, there has been a trend to complain and ban certain photos or images of animals in the Lunar Calender. Last year, some hypermarkets had to recall their T-shirts because they depicted images of dogs and pigs. Dogs and pigs are “haram” to Muslims. 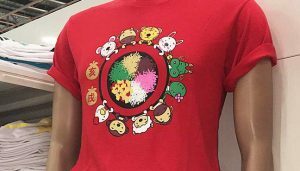 So, the Chinese New Year T-shirt was reprinted with only 10 cartoon characters of the 12 animals in the zodiac. How stupid! 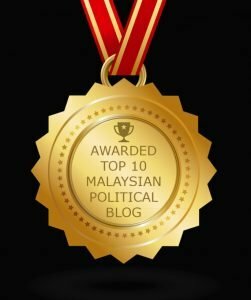 The Malay/Muslim in Malaysia is in danger of becoming a snowflake. A snowflake is someone who feels he is very special. He tends to be very emo, he has a strong sense of entitlement, he is easily offended and he does not like people to disagree with him. The Malays are afraid of their own shadows. They do not like others to have different opinions. They want to get their way all the time. 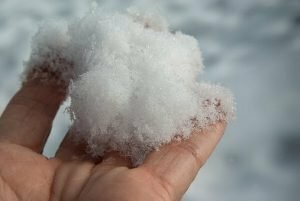 Be careful, because mother nature has ordained that only the fittest survive and the Malay will easily melt like the snowflake. The Malays will soon become extinct. 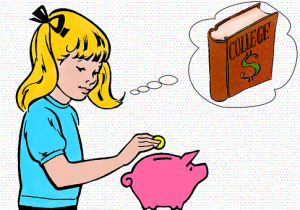 The piggy bank, the little jar which children used to store money, was banned decades ago. No wonder Malay children, like the now adult Najib and Rosmah can only spend, and steal taxpayer’s money, because they do not know how to save. They had to throw away their piggy banks when they little. 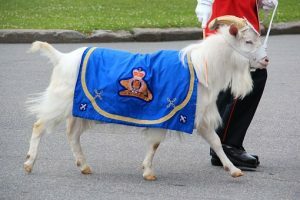 Will goats have to replace dogs in the police canine unit? If the dog is haram, will the PDRM have to use kambings instead of dogs, in their canine unit? Dogs have a good sense of smell to detect drugs and escaped convicts. Unfortunately, kambings are the source of smells. The name hot dog for frankfurters in buns is forbidden. We cannot watch the film “Babe”. T-shirts with pigs or dogs images cannot be worn. We are not allowed to read Asterix comics or Lassie or Scooby Doo. I think the bigots should examine their own heads. 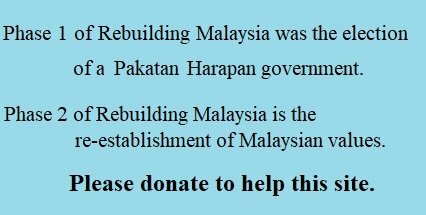 What Malaysia is going through is by design. Let chaos reign. Let the people suffer and complain. Better still let them fight. When everything is in a state of utter confusion, then somebody will come and solve all the problems. All as part of the New World Order. Maybe this will not happen and Malaysia will go to the kambings. This is also by design. There are too many Asian tigers. They are a threat to the West which is declining. But the West(US, Israel, Saudi) know how to create chaos in countries that have the potential to be economic tigers BUT who also have a HUGE weakness – the muslim population. It is so easy to stir them up and get them to riot, fight by the tens of thousands. It is so easy to get them heated up over “blasphemy” “insult to Islam”. Just see the events in Pakistan and Acheh. All the energy over issues which bring them nothing. But the whole country is paralysed by such activities. Economic progress suffers. Just look at ALL the muslim countries from the Middle East up to Malaysia and Indonesia. Many of them have the potential to become economic giants but are doomed by the type of Islam they practice. So what is happening is NOT by chance. It is by DESIGN. So all you Malays out there, just sit down and do some serious thinking. You all can do so much more if you can ditch the brain washing that has been inflicted on you. The NEP will not solve your problems. Neither will ketuanan melayu/islam. It is your self beliefs that can galvanise you into beneficial action. Malaysia is at a precipice. Now is the time for action. Religion that promotes Hadiths as the leading guide is like Self Help Culture that churns out Narcissists. Parental narcissistic abuse is where parents require the child to give up their own wants and feelings in order to serve the parent’s needs for esteem. The term emerged in the late twentieth century due to the works of Alice Miller and other Neo-Freudians, rejecting psychoanalysis as being similar to the poisonous pedagogies. Narcissistic abuse was originally just defined as a specific form of emotional abuse of children by narcissistic parents. 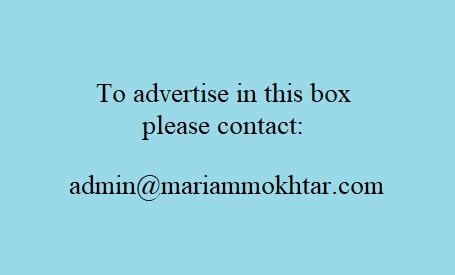 In recent years the term has been applied more broadly to refer to any abuse by a narcissist, in particular adult-to-adult relationships – adult-to-adult narcissistic abuse. The fad of hadith culture has made Islam that is practised today into a self help culture churning out Narcissists. Narcissistic abuse is a term normally used to characterise the situation and development of a child growing up under narcissistic parents. Today that is extended to include adult-to-adult relationships. With what has been happening lately as the article above had beautifully mentioned, we are now seeing narcissist abuse at societal level.